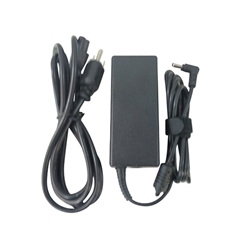 Description: New 65 watt high quality aftermarket laptop ac adapter and power cord. Input: 100-240V, 1.5A, 50-60 Hz. Output: 19.5V - 3.3A 65 Watt. Compatible Part #'s: VGP-AC19V48, VGP-AC19V43, VGP-AC19V49, PCGA-AC19V1, VPCCW17FX/B, VPCCW21FX/B.